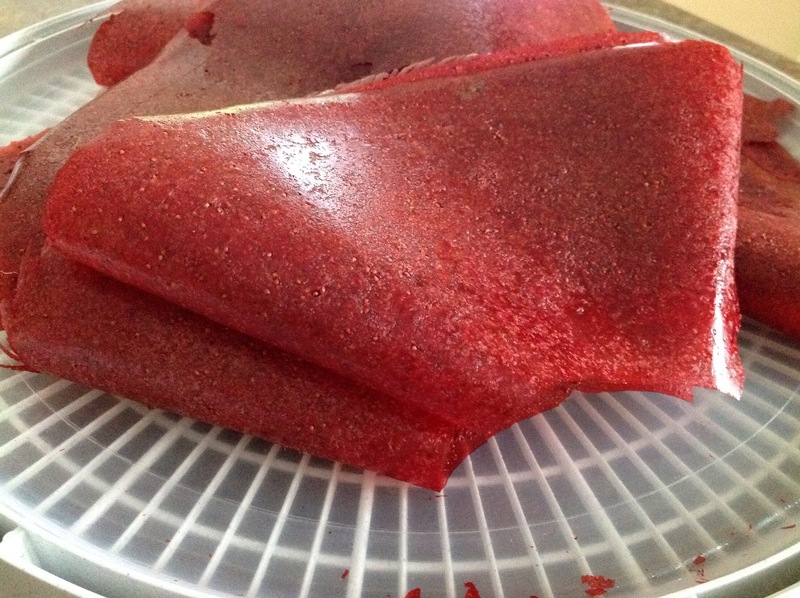 When strawberries are in season, I usually try to make several batches of fruit leather for my family. 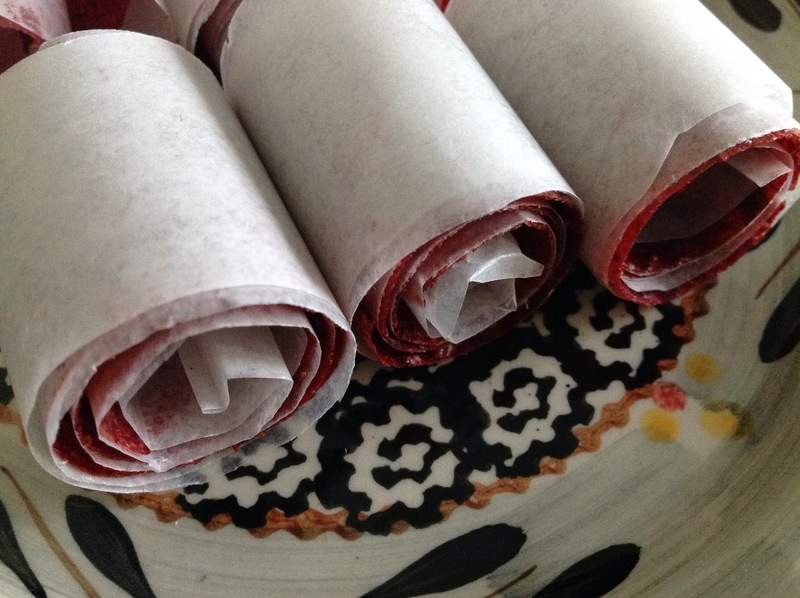 Rolling strawberry fruit leather on wax paper strips makes for a delicious, nutritious, summer treat. 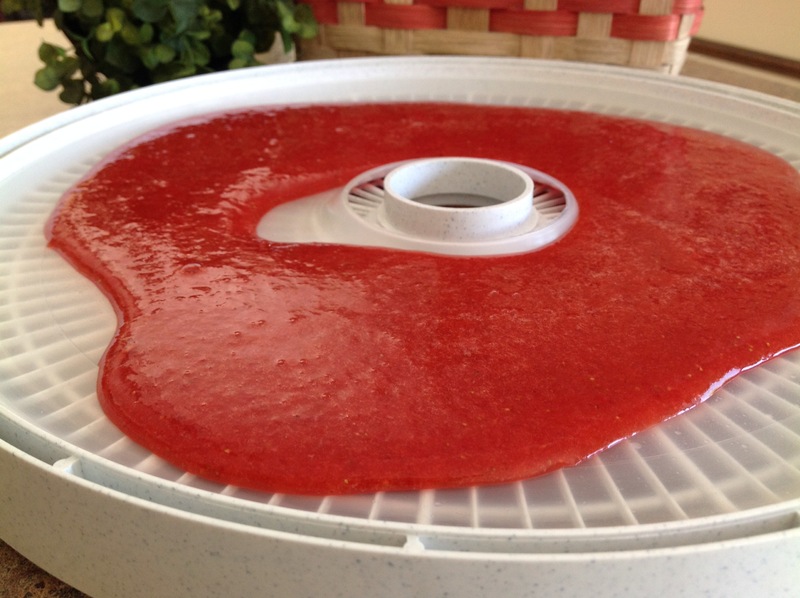 Puree 6 cups of fruit and evenly pour onto fruit leather dehydrator sheets. Dry at 135 degrees for 4-8 hours. 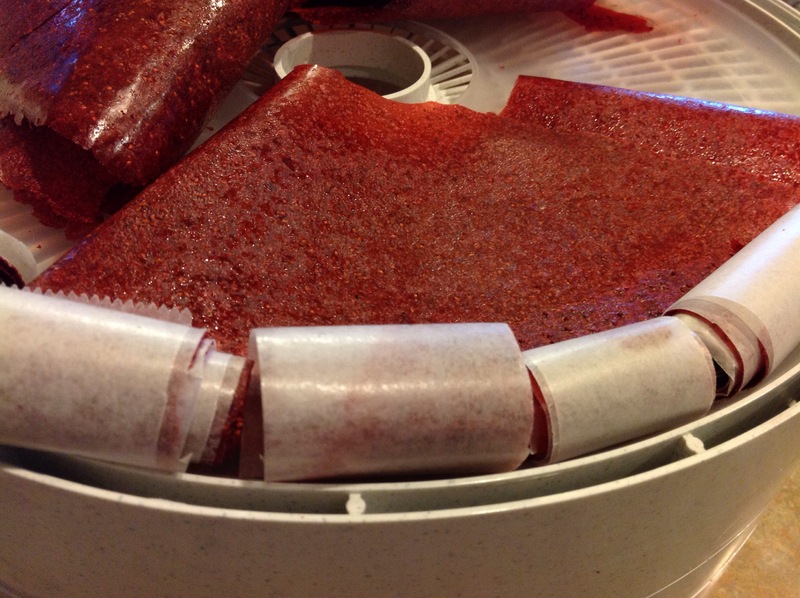 Using your finger, press to make a small indentation in the fruit leather. It should not be wet or sticky. It should be tacky. 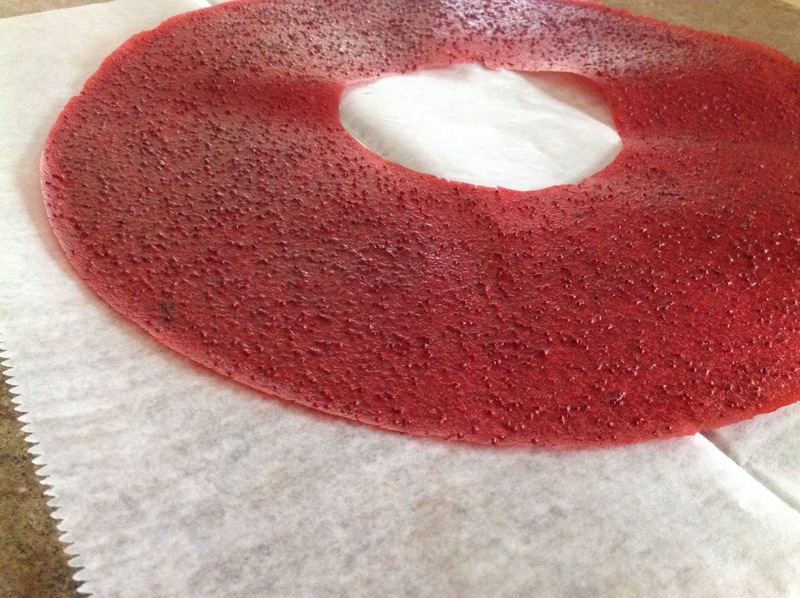 Check in a few areas around the fruit leather disk. Peel the disk off of the silicone sheet while still warm. Lay on a sheet of waxed paper. Using a scissors, cut into strips and roll up tightly. Store in a lidded container in a cool, dry place. Make plenty because they disappear fast! In a blender, puree all ingredients. 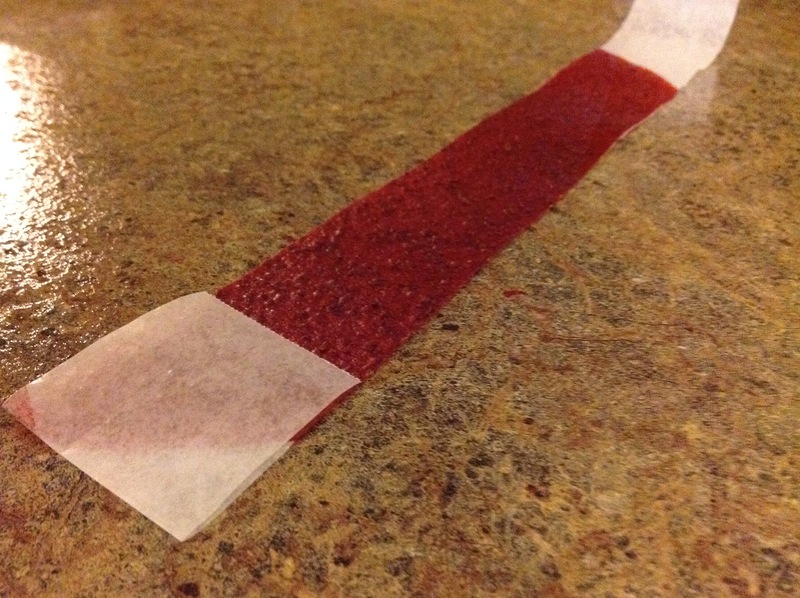 Pour onto Solid Fruit Roll Sheets. Place on dehydrator trays. Dry at 135º F for 4 to 8 hours, or until leathery. Remove from sheets while still warm. Let cool, slice and wrap. Roll and store in dark, dry, cool place or in freezer. 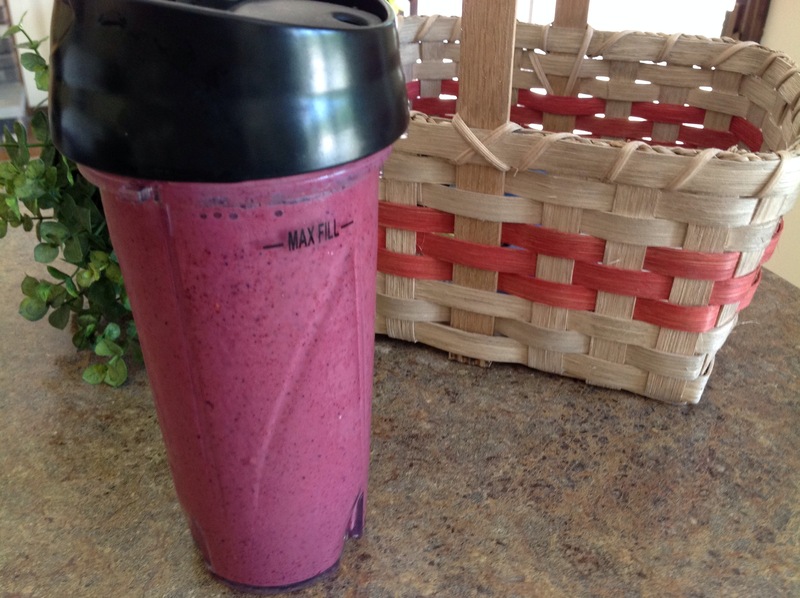 Of course, It’s always fun to make a very berry smoothly with the leftover purée. ﻿ ﻿I was recently asked to do a food demonstration at a local county fair. I thought it might be fun to showcase some of the new home food preservation products and make some lemon and strawberry jam. 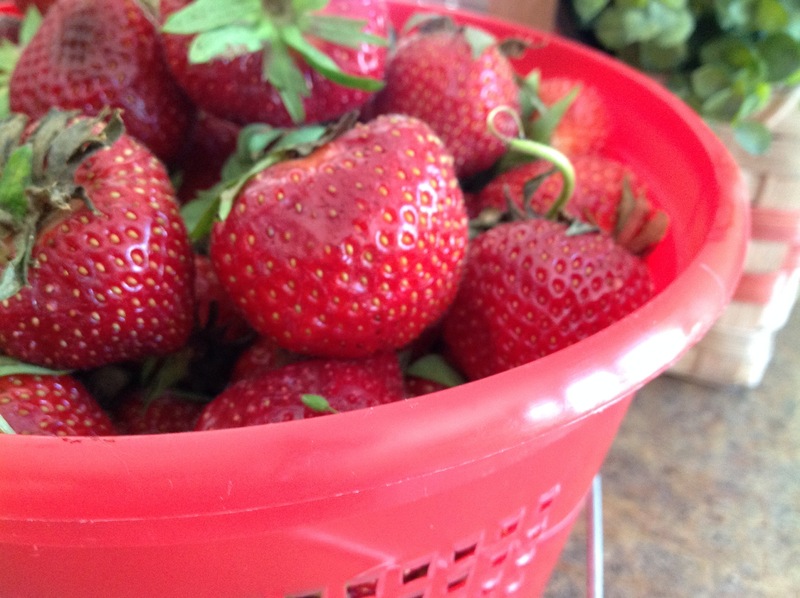 I bought a bag of lemons, some sugar, pectin and fresh strawberries for the occasion. A few portable appliances were easy to load into the back of my car and plug into the electrical outlet at the Home and Family Arts Building. I had a blast making jam for all of the folks visiting the fairgrounds. I was happy to answer questions and drum up some new found interest in canning. If you have never preserved food or if you’re looking for a fresh new way to can fruit with ease, check out some of the new items on the market and get busy canning nature’s bounty! ﻿﻿Add sugar and bring to a rolling boil… This is an amazing little appliance. Portable, electric, and easy to clean… Small batch canning is highlighted with this jam and jelly maker. Check out the recipe at the link below. Follow the recipe exactly as written. 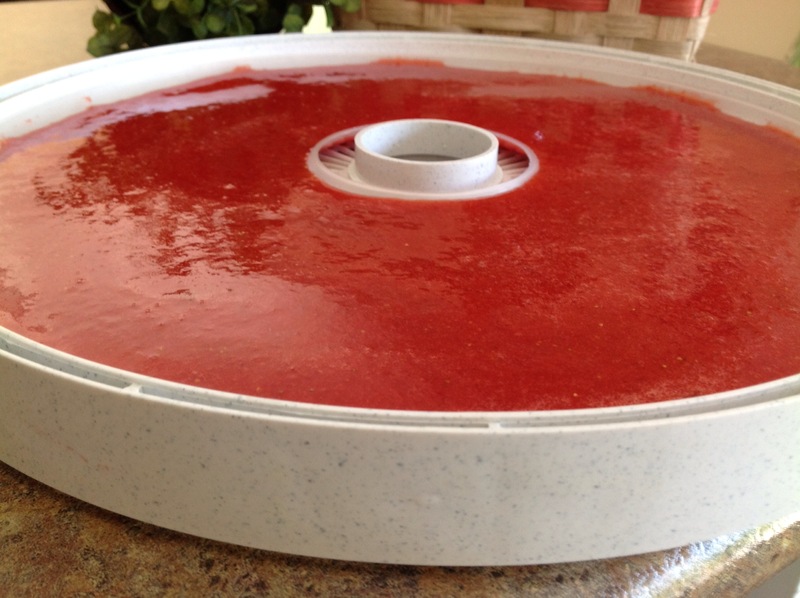 This is a must when preserving foods. No substitutions, unless directed. Always use reputable, tested recipes for home food preservation. Did you know that you can spruce up a cake mix by adding a package of flavored gelatin to the batter? These semi-homemade cupcakes are quick and easy to whip up and they’re so moist and yummy. During the holidays, many weekly sale ads feature greatly reduced pricing on baking supplies. So stock up on white cake mix when it’s on sale and keep lots of different flavored gelatin in the pantry for a variety of flavorful treats. Mix dry ingredients in a mixing bowl. With an electric mixer beat in remaining ingredients until fully combined. Pour batter into prepared cupcake pans. Bake at 350 degrees for 17-20 minutes or until toothpick inserted in the center of the cupcake comes out clean. Cool and drizzle cupcakes with powdered sugar glaze.